B.J. 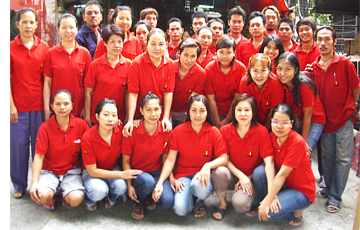 Machine Tools Co., Ltd is one of the leading importer companies in Thailand who import wide range of tools such as power tools, air tools, hand tools, water pump, welding machine and other tools using in factories to support the varieties of industries including agriculture, construction, car care shops and hardware retailers etc. from Japan, Korea, Taiwan, China and India for over 15 years. We are strictly in accordance with the high quality and long lasting of all products we import so we have a team and process to select only high standard producer factories to cooperate with and also research & develop with those factories. Moreover, we are committed with quick deliveries and best after sale service in all respects to meet entire satisfaction of the customers. Copyright 2005-2010 bjmachinetools All rights reserved.